Large, charming one-bedroom cottage complete with newly remodeled full kitchen and bath, and combination tub and shower. All appliances are new including central air-conditioner and heat. Nestled on a private and secluded 8 1/2 acre estate with beautiful walking paths and large swimming pool. The lovely oak treed grounds are accented with gorgeous flowers and bushes. Quality linens and down comforter on California King bed! Top of the line leather furniture in large living room. You will love the tranquility and privacy . . . the perfect get-away or honeymoon suite! 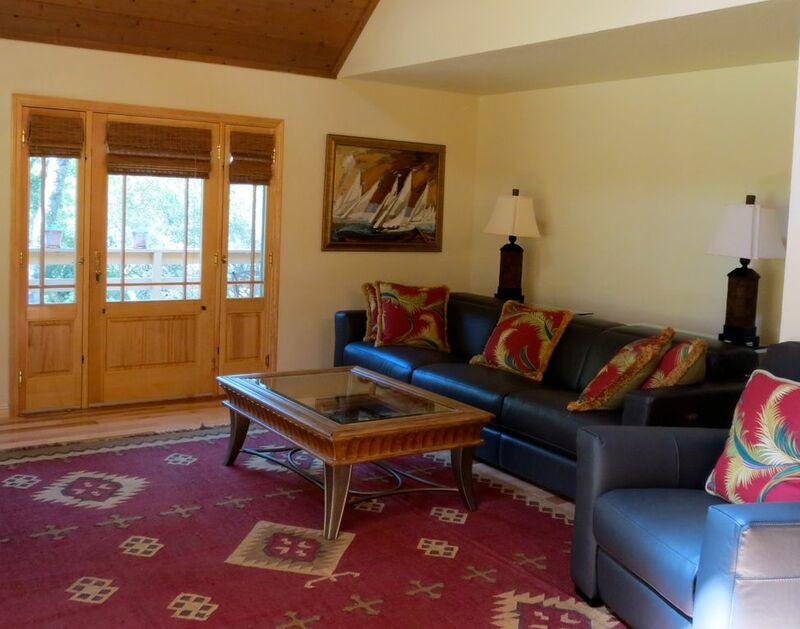 The property is situated within the Amador county wine region, and was beautiful and overall comfortable. It was obvious, though, that this was an inexperienced owner/operator for a VRBO property. The check in procedure was not organized. We had noted a check in time of 3:00pm, but our schedule was up in the air due to business in the area. The owner had us call 20 minutes in advance to meet us there. She had a grocery bag of items she loaded into the kitchen drawers and refrigerator when she met us there at arrival.. this should have been stocked prior to our arrival. We would have preferred just getting in ourselves without having to meet an owner to let us in. There was no good directions or description to the property, just an address that we plugged into Google maps. Unfortunately, there were two entrances to the property, and it was confusing as to where we should go. The house is nice, and the bed very comfortable. I would suggest to the owner to supply shampoo in the shower, knives in the kitchen, and obtain WiFi for the property. I was there on a business trip, and I had no WiFi to work by, and the cell coverage was poor. As well, the owner should write out instructions and just leave them in the house; simple things like what to do with the gate, the thermostat, and the bedding. Phone calls to us during our stay were disruptive and unnecessary if simple instructions were written out. This cottage is beautiful. Sits on a lovely property surrounded by trees, nice deck. Large and comfortable and nicely decorated. Very convenient to local wineries. Owner was very nice and welcoming.